Sing, sing, and sing in celebration! The messiah has returned after 15 years wandering in the wasteland of Los Angeles, his four disciples waiting with open arms and synthesizers. After years of anticipation, Robbie Williams has finally taken the plunge and returned to Take That, bringing with him the swagger and cheek they so sorely missed since 1995. Progress is the triumphant return of Robbie Williams, not only to Take That but into the hearts of the public once again, and is undoubtedly his moment to shine. Progress is a sleek departure from the power ballads and love songs we have come to associate with Take That in recent years. The return of Robbie has given them a more mature sound that is bang on trend with the current musical scene; incorporating heavy synth with clean pop melodies in a way unique to themselves. The use of electronica throughout the album is the most remarkable feature, even sampling the 1981 Ultravox single “Vienna” in the typical Gary Barlow love song “Eight Letters”. Taking the lead on seven out of eleven tracks, it is Robbie’s sound that resonates throughout the record. 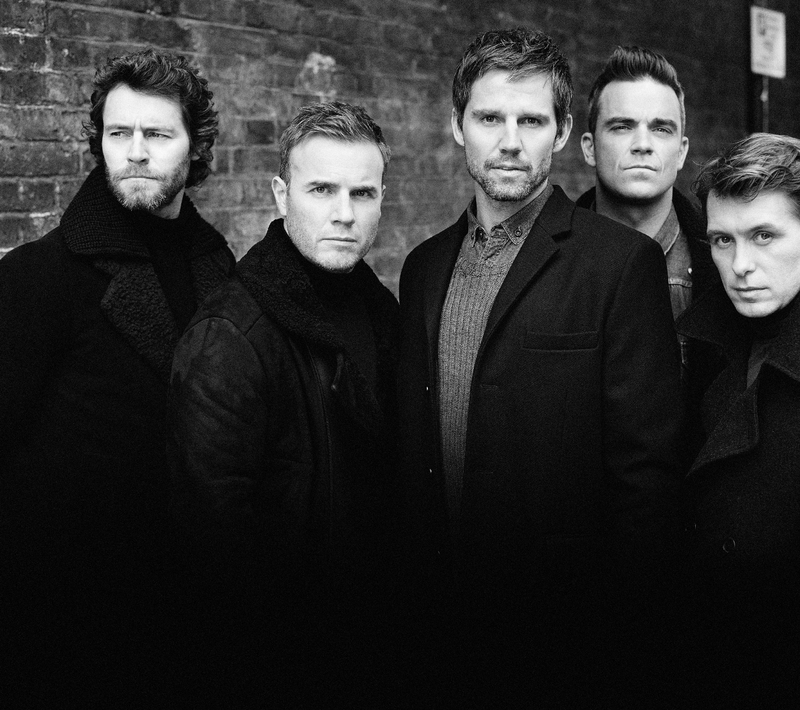 His dominating vocal not only give so much depth to the tracks but gives Gary Barlow a worthy adversary and truly compliments his refined baritone by giving the vocals the edge they have lacked, most obviously in their comeback single “The Flood”. However, that is not to say that the vocal prowess of the remaining members is overshadowed. The delightful counterpoint of Williams and Mark Owen in “SOS” make for a quick-paced pop treat, guaranteed to be a successful follow up single. Even the forgotten members Howard Donald and Jason Orange sing lead on “Affirmation” and hidden track “Flowerbed” respectively, however these are both unfortunately the most forgettable tracks on an otherwise flawless pop album.